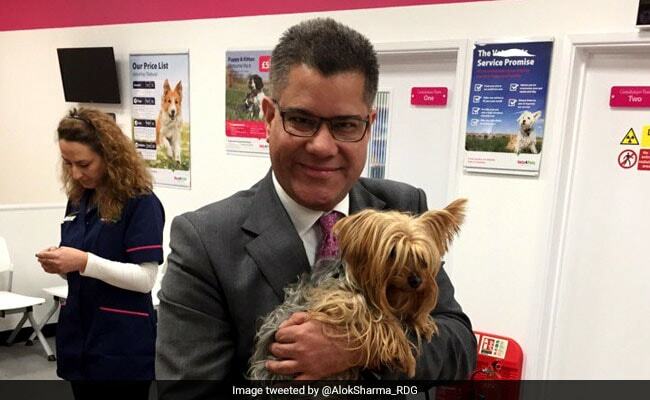 Indian-origin Member of Parliament Alok Sharma from the Labour Party had held on to his Reading West seat by 2,876 votes in the June 8 UK general election. Indian-origin Conservative Party leader Alok Sharma was elected MP a third time. London: Indian-origin Member of Parliament Alok Sharma was today appointed Minister of State in the Department for Communities and Local Government in the British government. The Conservative party MP had held on to his Reading West seat by 2,876 votes in the June 8 general election. "I am absolutely delighted to be elected MP for a third time and I will do my very best for the people of Reading West," Mr Sharma said. The 49-year-old's victory was precarious as he was contesting a marginal seat, meaning it was a constituency with a slim majority for the sitting MP, leaving it up for grabs for any party. "With any election in a marginal seat, which Reading West has been for a number of years, there's always an amount of nerves," he said. "Over the past seven years, the big issues I have tackled include securing more spaces at schools, getting more business investment and securing more standard class seats on trains from Reading into Paddington. Those are the big issues and that's what matters to the people of Reading West," Mr Sharma said. In his new ministerial post, Mr Sharma will serve as a junior minister under Pakistani-origin Sajid Javid, who was re-appointed secretary of state for communities and local government last week. In the previous Theresa May-led cabinet last year, Mr Sharma had been parliamentary under-secretary for Asia and the Pacific in the Foreign and Commonwealth Office or FCO. He was the FCO minister in charge of India. In another development, senior-most Indian-origin minister Priti Patel attended her first cabinet meetings this week after being re-appointed secretary of state for international development. The Labour party improved its record from five to seven MPs, with the Tories retaining their five Indian-origin MPs, taking the total up from 10 in the 2015 general election to 12.